Will Abbey Road Studios find the next Spotify, Shazam or SoundCloud? That’s certainly the aim of its Red initiative. Billed as Europe’s first true music tech incubator, the programme – run by a skilled in-house team – takes a sliver of equity in new startups in exchange for mentoring, support and a valuable marketing platform. Red is just one of many fresh ideas that have bubbled up since Universal acquired Abbey Road as part of EMI in 2012 – and began pumping money into the operation. There’s another big launch coming in early 2017, as Abbey Road unveils two new rock and pop studios designed to be more affordable for up-and-coming artists, which it hopes will create lifelong recording relationships with tomorrow’s superstars. Isabel Garvey (pictured) took over as MD of Abbey Road Studios in 2014, and has been busy coming good on a public promise from UMG boss Sir Lucian Grainge to revitalize the business’s position as “a symbol for the creative community”. She points out that every element of this UMG-backed expansion has ultimately remained rooted in music – as evidenced by artists who have all chosen to recently record at Abbey Road Studios such as OneRepublic, James Blake, Ed Sheeran, Take That, James Bay and A$AP Rocky. “It’s been a period of amazing investment and change in the building – the biggest transformation for the studios since 1931, as dramatic as that sounds,” says Garvey of UMG’s ownership. “Universal are investing a lot in the core business as well as expanding the brand. As much as anything else, there’s a huge drive to keep this place as the best studio in the world. 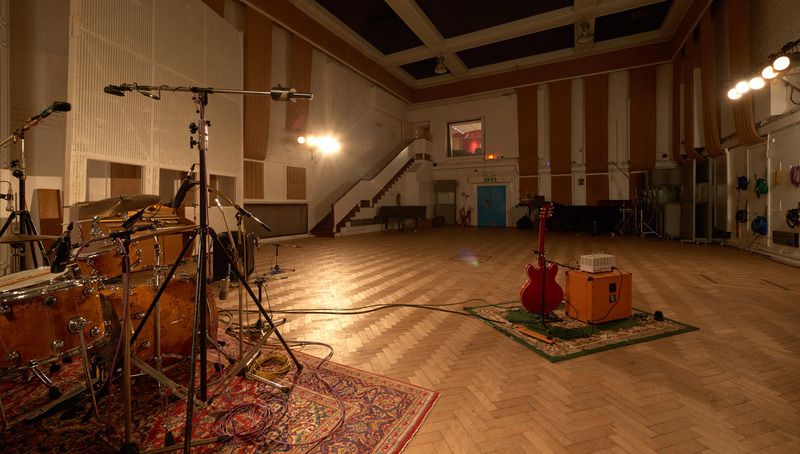 Other changes under Garvey’s watch have included upgrades to the historic Studio 2 (pictured, inset) and Studio 3 and the launch of an educational Abbey Road Institute – plus the opening of a retail store on site (a smart move when you consider that around 300,000 Beatles megafans take a walk on the famous zebra crossing every year). When Universal bought Abbey Road Studios as part of EMI, Lucian Grainge called it “a symbol of EMI, a symbol of British culture, a symbol for the creative community” and promised further investment. How has UMG’s ownership impacted ARS vs. where it was under EMI? There’s a massive respect for the studios at Universal, all the way up to Vivendi. [UMG] continues to invest heavily in physical building works as well as building the Abbey Road brand. We work very closely with [Universal Music UK boss] David Joseph and the UMG team, and they really take on board what people here say; they have supported us with investment, resource and brainpower. Their belief in Abbey Road has allowed us to basically transform the building and enhance the studios to meet the needs of everyone who would like to work with us, whether they want access to classic technology or the cutting edge processes while doing some really interesting things with the brand itself. Can you tell us more about these new studios (mock-up pictured below). Why are you building them, who are they for and what do they mean for Abbey Road? We’re really fortunate to have such a widespread appeal; artists tend to have an ambition to record at Abbey Road. But for a lot of emerging artists we’ve been out of reach from a budget perspective, particularly in a world where A&R expenditure has been subject to constraints [over the past decade]. We wanted to think of a way to address this; to build long-term relationships with artists and take them through the studios on their creative journey. 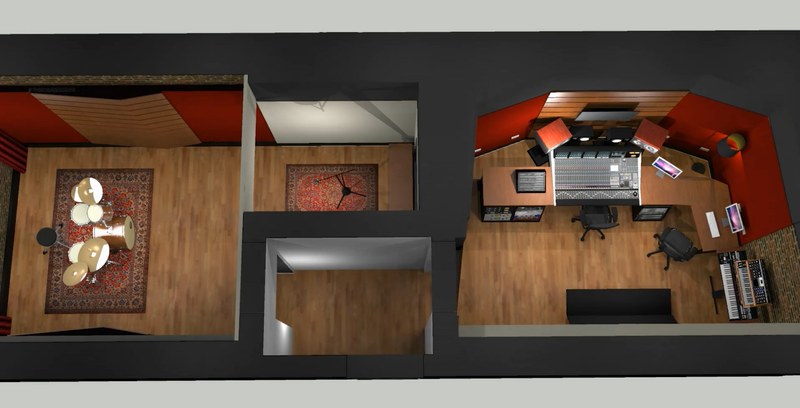 If an artist has a good creative experience in a studio, we firmly believe they stick with that studio – so we’re building two new contemporary rock and pop studios which will have the latest equipment that will ensure that we stay head and shoulders above everyone else and offer a complete service for artists big and small. [The news studios] are not only set within the inspirational space of Abbey Road, but also offer access to all of the heritage equipment and our brilliant engineers and technical team here. The advantage is that, because they’re smaller spaces, they’ll be priced more competitively, so we really hope we’re starting to appeal to a new generation of people. On the film side, we’re also adding services to our really successful scoring business so that we can expand into post-production and include a mix of all elements of sound. How else has Abbey Road dealt with A&R budgets being impacted by the shrinkage in the industry post-Napster? We’re incredibly lucky because our business hasn’t suffered at all from shrinking budgets; our brand, heritage and scale means we have a really healthy roster of artists who want to come to the space. What we have noticed is that over the last 15 years, people are coming to the studio much more prepared; technology has enabled much more production to happen ‘in the box’ as our engineers say – on a computer – so it means when artists come through the doors, they’re ready to record. They don’t have that luxury of spending weeks in the studio writing before they [lay down tracks]. What that means for us is that we have a higher frequency of artists coming through the studio rather than people blocking it out for months in one go. If anything, we’re over-subscribed most of the time. Abbey Road Studios has always been on a quest for the new. There’s such a rich history of technological innovation here – under EMI ownership, stereo sound was invented by Alan Blumlein who was an Abbey Road engineer. That obsession with quality means we have the best technology in our studios, but it also throws up a lot of questions. Now people are doing more music production ‘in the box’, what does Abbey Road mean to that audience? Should we start trying to extend to the at-home music maker? What could we deliver at high quality in that space? We already have [Abbey Road-branded] plug-ins and offer online mixing and mastering, and we have an intention to drive that service base higher – but only when it truly adds value to the creative process. Abbey Road Red is really pivotal to our innovation story too. The whole ethos of Red is to embrace the startup and academic community – making sure we’re at the forefront of music technology in its broadest sense, not just production or music creation. We don’t know what the studio of the future really looks like but we’d rather be the disruptors than the disrupted. That’s why we’re investing so heavily in Red; to keep our finger on the pulse and pick up pieces that will be relevant to the wider Universal family that help us all move forward. What about your core business: how is ARS performing commercially? Because we’re a subsidiary of a subsidiary, we don’t really talk about our commercial performance in detail, but I can say that we are super happy with our results. Obviously with new spaces coming on board, we expect to see an uptick in our income. Following the closure of some high-profile studios in London and elsewhere, do you struggle at all to fill your bigger, more expensive studios? The short answer: no. We’re over-subscribed. It breaks our hearts, actually, that this year we’ve had to turn away a number of artists we’d have loved to come to Abbey Road, but we’ve just been too busy. That’s in part why we’re investing in the new studios – so we can have more capacity. Artists come here and think: ‘If these walls could talk.’ They feel a creative responsibility to do their best work. 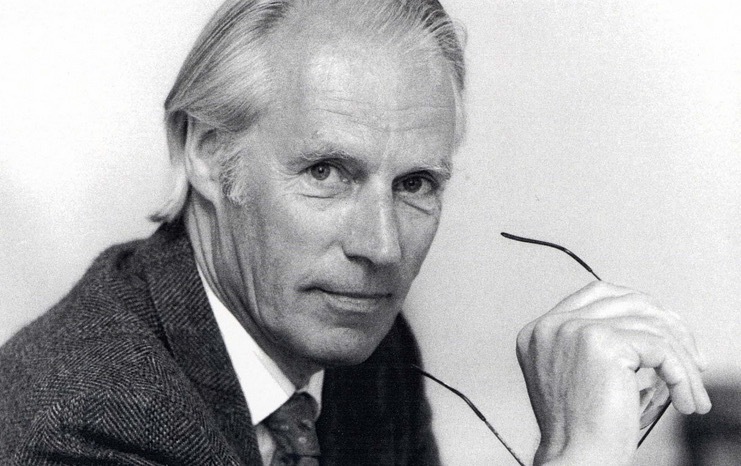 Sir George Martin: what legacy does he leave at Abbey Road Studios, and do you follow any guidance he had for the future of the studios and the brand? Sir George Martin obviously leaves an enormous legacy at the studio. He was a hugely respected character here with a real creative vision for his artists – and on top of that he was a real gentleman. Everyone here talks so highly of his wit, and says he was great fun to be around. His legacy is really to remind us that, at our core, we’re about music – and about giving artists the right support to create their best work. It’s all very well thinking about expansion, but at every turn we need to come back to music. If you lose sight of that, you lose the magic of Abbey Road. Can the Abbey Road brand ever live beyond Abbey Road – especially in the sense of new studios elsewhere? We have amazing brand recognition worldwide, so Abbey Road has always existed beyond the physical studio. We actually had a mobile recording facility back in the day when our engineers would travel around with projects. But the very short answer is there are no plans whatsoever to open a second Abbey Road Studios anywhere around the world. We could never replicate the magic of what we have here now. One of the new things you’ve launched is The Abbey Road Institute for those looking to break into the music business. Your first London graduates are now heading out into the job market. What is the Institute and do you need anything more from the industry? The Abbey Road Institute is our educational arm. It’s a vocational diploma in music production and audio engineering. We’re open in a number of countries; we have a small classroom at the studios in London, and state of the art facilities in Paris, Berlin, Frankfurt, Amsterdam and Melbourne. We’re really proud of the Diploma; the team who’ve pulled this together have really reflected the apprenticeship approach to engineering at the studios that Abbey Road has had since its inception. It’s a super-intense course completed in 48 weeks which is taught in a really hands-on, practical manner. The students have time in the classroom for lectures, but have time working with music every day. We teach them about all aspects of recording and production as well as the management of the music business. The industry should embrace it because we have a highly-skilled set of people coming out of it who are ready to work. They’ve had hands on experience of the practical elements of recording and producing. These young men and women are ripe for internships and apprenticeships all around the industry. The A&R Awards in association with Abbey Road Studios is back for 2017!